Possibility of a sleeping sofa in the living room to have three separate bedrooms. TV are located in a bedroom and the living room. In addition to the bathroom with toilet, shower and bathtub, the apartment is also equipped with a guest toilet. The balcony is accessible from the fully equipped kitchen and living room. The apartment is adjacent to our restaurant, with the possibility to have breakfast and eat. S-Bahn station of the Nuremberg S-Bahn companies approx. 1 km on foot or by car. The apartment at The White Lion was lovely! We thoroughly enjoyed our stay. The only thing missing was a microwave (unless that was one of the settings on the oven that we missed. 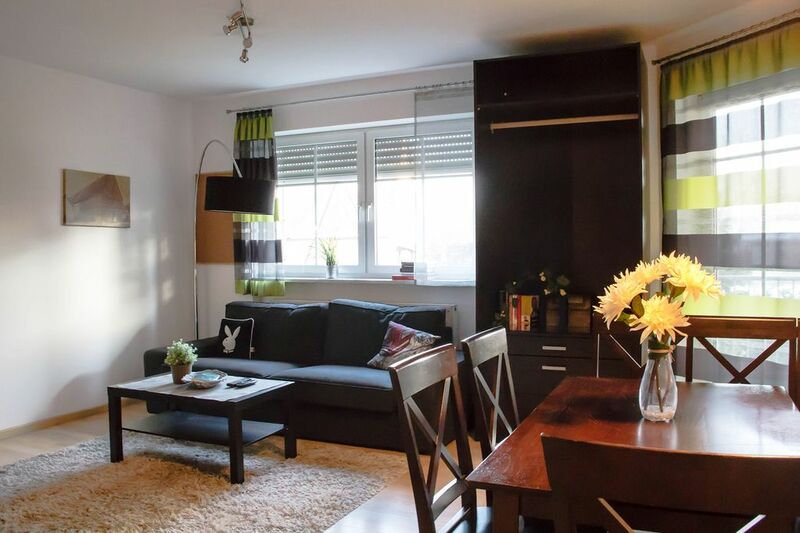 The location is in a quiet village near Nuremberg with easy access to the rail system. Shopping is close by with a bakery and meat market about a minute's walk away and a couple of supermarkets about a 5 minute drive. Lori K.Where do you live? The owners were great to work with and very friendly. The apartment was very clean. The beds were a bit hard for my taste, but otherwise very comfortable. The wi-if worked in the living space, but not as well in the bedrooms. Nice, quiet neighborhood with a short walk to the bakery for morning pastry & coffee. I would definitely stay here again. Thanks so much! Geräumige, saubere Wohnung mit reichlichem Frühstück zum fairen Preis. abbiamo soggiornato due notti e siamo rimasti pienamente soddisfatti dell'abitazione. spaziosa, pulitissima, completa di tutto ed i gestori cordiali e gentili.